As of last summer, Florida’s energy code incorporates Section 406 of the 2015 IECC: the Energy Rating Index. This provision – which includes a backstop to ensure an efficient building envelope – represents a huge opportunity to integrate the power of renewable energy into new building designs. With over 100,000 new housing unit permits authorized in 2015 alone, Florida is a state poised to have a huge impact on national building energy usage patterns in the coming years. Strong energy codes can work in tandem with renewable energy sources such as solar photovoltaics (PV) to provide Floridians with efficient homes and low utility bills. 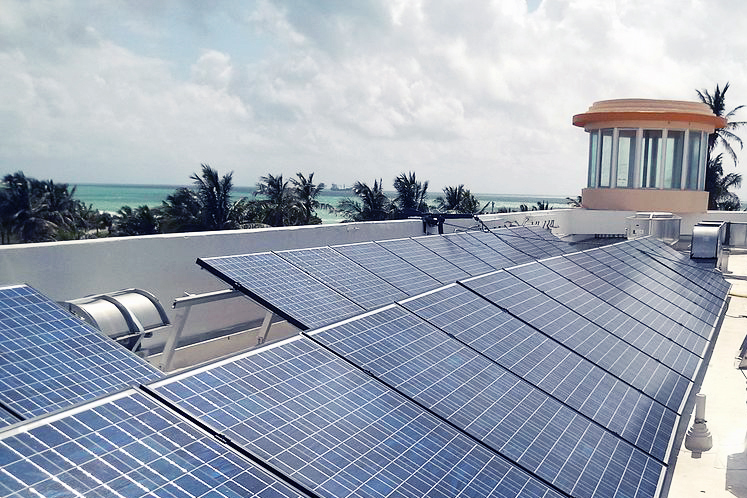 Building on these advances, the Building Codes Assistance Project (BCAP) and the Center for Sustainable Energy (CSE) have selected three cities in Florida as training locations as a part of our work with the U.S. Department of Energy (DOE) SunShot Initiative. The SunShot Initiative is a collaborative national effort that drives innovation to make solar PV energy fully cost competitive with traditional energy sources before the end of the decade. Through SunShot, DOE supports efforts to drive down the cost of solar electricity to $0.06/kwH. Within SunShot, the Solar Training and Education for Professionals (STEP) program specifically tackles soft cost barriers to solar deployment by providing education to key stakeholders in the transactional process: designers, builders, lenders, regulators, etc. BCAP’s role focuses on the leadership and business opportunities for architects and engineers in incorporating solar PV into all projects. High transactional costs have been identified as one of the main barriers to the wider usage of solar in even the sunniest of states. Managing these soft costs will give a wider swath of the population the chance to take advantage of small-scale rooftop solar. A new analysis by DOE shows that, thanks to its rising popularity and expanded financing options, solar power has never been more affordable. Furthermore, Miami has already demonstrated an interest in communities that work for all its residents: last year, the U.S. Environmental Protection Agency (EPA) selected Miami to receive technical assistance to pursue responsible and sustainable development strategies. This program gives communities a roadmap to improved quality of life that does not come at the expense of displacing existing residents. Equitable development includes environmentally safe and healthy communities. Cheap, clean, reliable energy could help communities in Miami and across the country reach these goals. A group of Stanford University scholars has already put together roadmaps showing how each state could transition entirely to renewable energy by 2050. As you might guess, for Florida, nearly 70% of this energy mix would be made up by solar, including residential and commercial rooftop PV. But to turn that projection into a realistic goal, we need a workforce of design professionals who understand how solar considerations affect their day-to-day work, who can field questions from consumers, building owners, appraisers, and code officials. This isn’t the SunShot Initiative’s first rodeo in Florida. In September 2013, DOE awarded the Go SOLAR Florida team $1.575 million to reduce market barriers, including the soft costs associated with rooftop PV installation. This team, whose participants include the Florida Solar Energy Center and Miami-Dade County, has developed a web-based solution called the Solar Plans Designs System (SPDS). Using SPDS, users can reduce the amount of time they need to allocate for structural and electrical plan review. Armed with tools like these and knowledge from in-depth training, architects and engineers in Florida will be better prepared to seize their market share of solar technology. Join us in Miami on January 17th to STEP into the Sun.